Do You Know What the 'Industrial Revolution Was? Before about 1770, most things were made by hand instead of by powered machinery. An early example of powered machines arose in Britain. 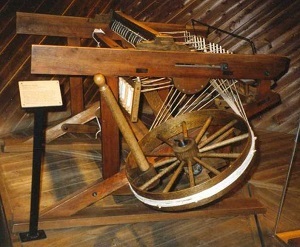 The spinning jenny, invented by James Hargreaves, was a spinning wheel that made it easier to weave thread in 1722 to 1778. During the time that came to be known as the first Industrial Revolution, Abraham Darby learned how to use a type of coal to make a cheaper, easier, method of producing cast iron. The second industrial revolution took place from 1865 to 1914; big advancements in electricity made it easier to create, discover and develop things such as clothes, food, transportation and entertainment. Innovations like cars, bicycles, radios and record players were mass-produced for the first time. The Industrial Revolution spread quickly to different places in Europe, such as France, Belgium and Germany. The Industrial Revolution was a pretty big deal. Many people were able to invent and discover new ways to do and create things to make our lives easier.